Jon visits us for a special event for our 15th Anniversary. Jon’s first release for nearly a year! Jon made his first Splat! Show appearance during season 7. His first appearance was an odd one as he joined us during the days before our reboot which meant shoots outside with unflattering surroundings. Thankfully Jon agreed to come back when the show relaunched with Pete in full control. He was an instant hit with the fans of the show and over the past few years has made countless appearances in our Gunge Tank and many others too. We couldn’t celebrate out 15th anniversary without Jon. It just wouldn’t be right. So we invited Jon back to Splat! HQ for a special visit not only to celebrate our 15th birthday but also to welcome him back to the show after nearly a year since his last appearance. This special event features Jon taking on his most terrifying quiz ever has he faces the threat of getting covered in cold and smelly gunge left over from a private session. Jon just has to answer questions regarding his time with Splat! correctly to leave the tank clean. Will Jon save himself or will he get the most disgusting gunge he has ever encountered? Jon also takes on the return of our Mega Gunging. This is a celebration after all so we had to give him a special Gunging for this 15th anniversary special and while it’s no a Splat! storm in the amount of gunged used, it’s still one the best Gungings Jon has had the displeasure to receive. And if you know anything about Jon’s many Gungings over the years, thats saying a lot! Thanks for coming back Jon, was great to have you back for this special event release. Thanks for your service to us and many other Gunge Fans. You are real legend. Video Length: Two Videos: Combined length 53 mins 3 seconds. Presented in 4k and HD. Help playing videos. Content Guidelines: Shirtless in some scenes. No minor swearword usage. If we had to give it a age certificate: PG. Learn more about our Content Guidelines. Jon Takes On Splat! U Control 2019! - Get Your Ideas In Now! Jon has been selected to take on the return of Splat! U Control. Over on the Splat! Fan Club we are asking our fans to submit ideas for his U Control special. The team will then pick the best ideas to creature the U Control Show with Jon. Submission for ideas are now open on the Splat! Fan Club until February 15th along with a special introduction video featuring the man himself. 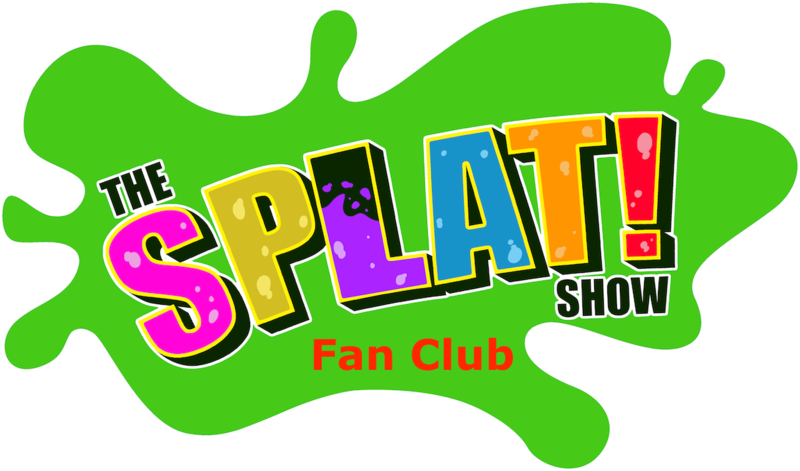 The show will be released in March exclusively on The Splat! Fan Club. Jon is the first participant featured in the Splat! Club exclusive video series, Who's Under The Foam. Click The Club Logo to join and watch his episode. Jon stars in the first episode of The Splat! Club video exclusive, Who's Under The Foam?